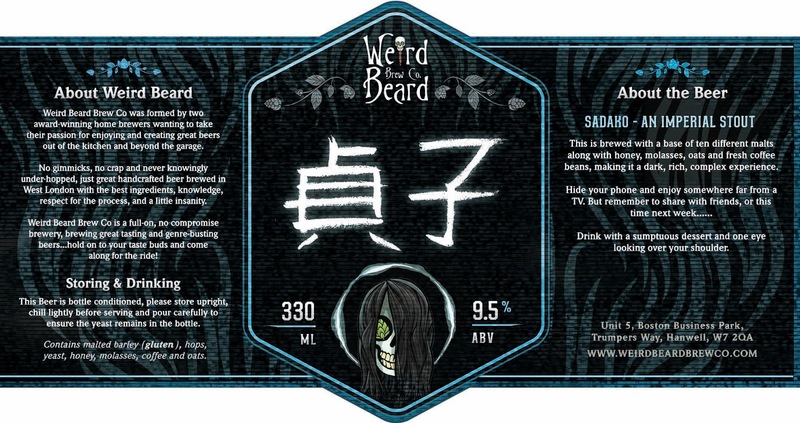 Back in July 2014 we released the dark, rich monster that is Sadako: our first imperial stout, onto the world. The beer was originally held back at the brewery for just under 4 months, as we never want to release a beer that we don't believe is ready. We were small and naive back then, and in hindsight feel we let her out into the wild a little early. We had simply run out of room at the brewery and we got a tad bored of moving the pallet around each day. The beer tasted good so we thought we would release it. 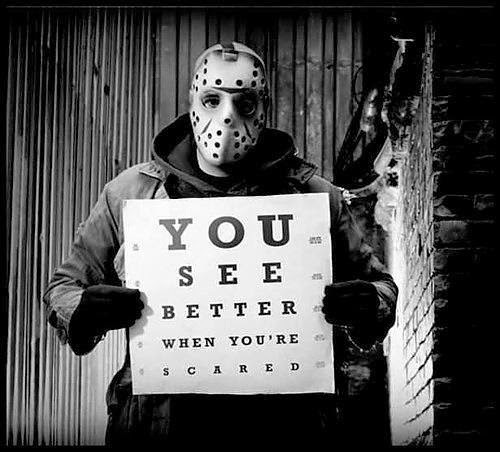 It generally went down well, but it soon became very clear that it was still improving as it got older. By the time it had sold out, and there were very few bottles still ingaround, it was tasting fantastic! 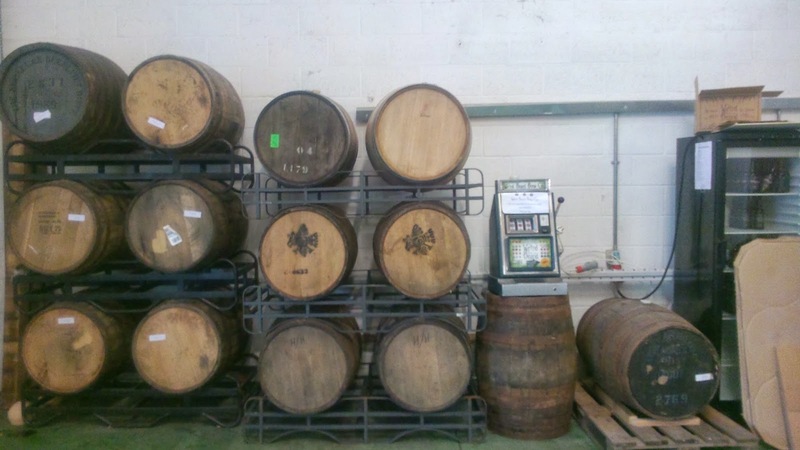 The next batch was brewed in early September 2014 and packaged in October. Since then, we have acquired ourselves more warehouse space, where we can stick a pallet in a dark quiet corner and forget about it. 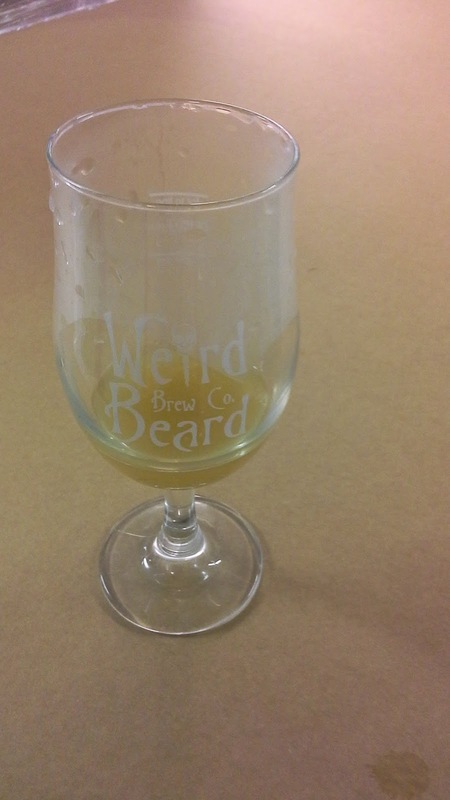 For the last 6 months, batch 2 of Sadako has been lurking in the depths of the Weird Beard warehouse, watching, waiting for its chance to make a bid for freedom. Now the time has come, the video has been watched, the phone has rung and Sadako will climb out of her box. Are we getting all of these Ring references? 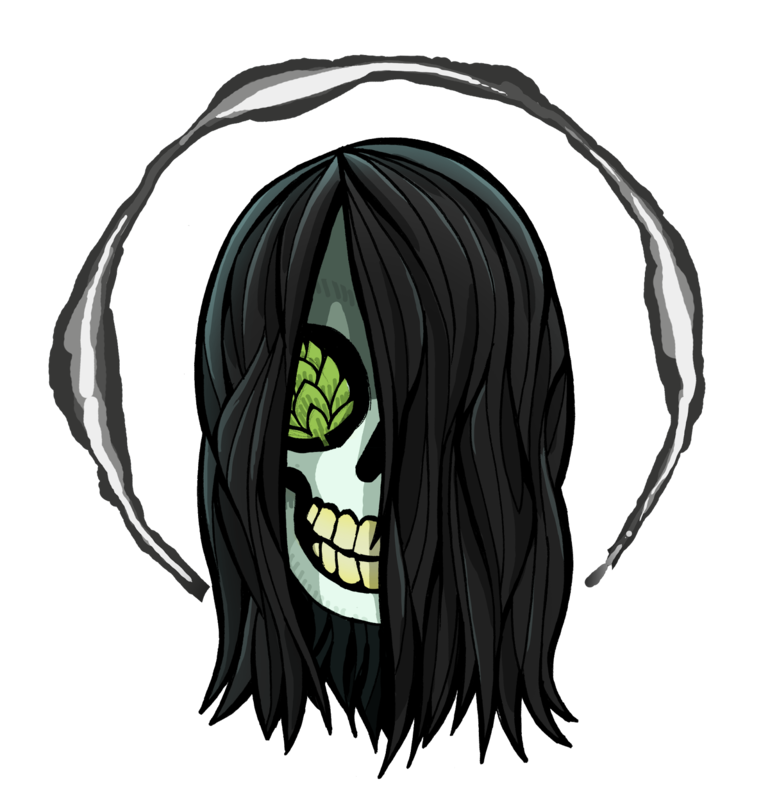 Sadako currently appears on our brew schedule at least 3 times a year. You can tell when we brew it as another of our favourites, Dark Hopfler, comes out of the same brew day. But we will be pre-ageing each batch of Sadako for at least 6 months before pulling it out, waxing, and releasing it. Even if only to make sure we are presenting head brewer Bryan's favourite beer at its best. It has been a long wait between batch 1 and 2, but we hope you find it has been worthwhile. Infact you can rest easy knowing that in that dark corner of the warehouse, there is yet more Sadako waiting for its time to come and get you. For the past year we have done monthly pop-ups at the Bottle Shop Arch at Druid Street and it has been an all-round wonderful experience. Not only did these bring us closer to the thriving beer community of Bermondsey, but we've built a particularly strong relationship with the team behind the Bottle Shop. We've had many immensely enjoyable Saturdays working alongside them in their space. So when we were approached by our friends from there, Andrew and Ben, to take our working relationship to a new level, we didn't hesitate. Together we've made a beer with other breweries that have 'popped-up' at or are friends of the Bottle Shop, which will be launched at Arch this coming Saturday. "You taste better when you are scared"; is a Tart Grapefruit IPA, collaboratively brewed with Marble and Bullfinch breweries earlier this year. The idea behind the brew is itself an interesting concept; here we have three breweries working together under the umbrella of another aspiring scheme from the Bottle Shop. 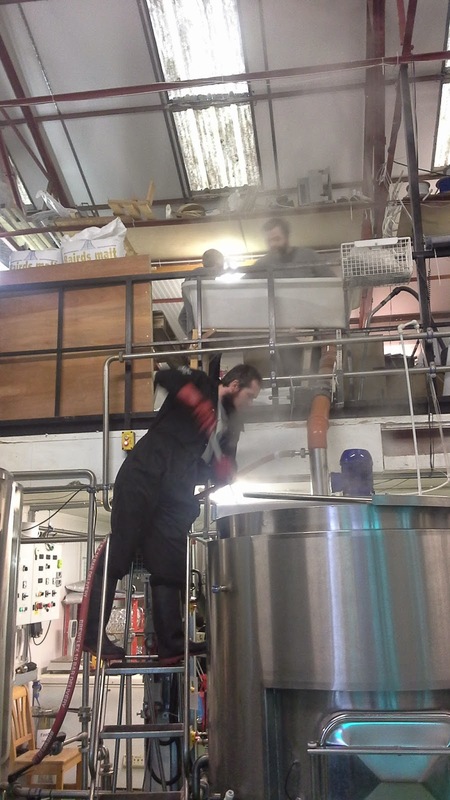 The beer was brewed at our brewery in West London on Friday 13th February. 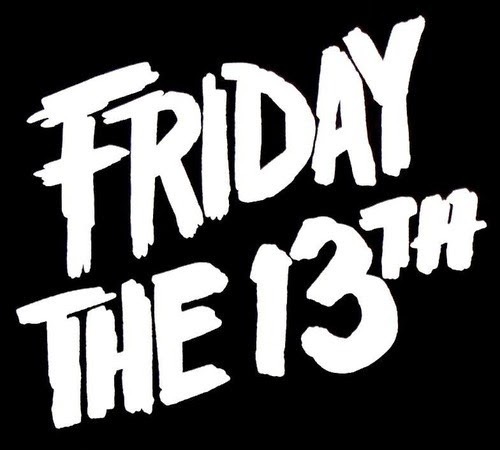 The date, coupled with the interesting beer which we will divulge later, provided inspiration for the name and the Jason style hockey mask theme for our Lup'in Skull. So what beer has been born from the minds at the Bottle Shop, Bullfinch, Marble and ourselves? Well, together we've created an I.P.A with a load of Cascade and Chinook hops in the kettle and fermenter. 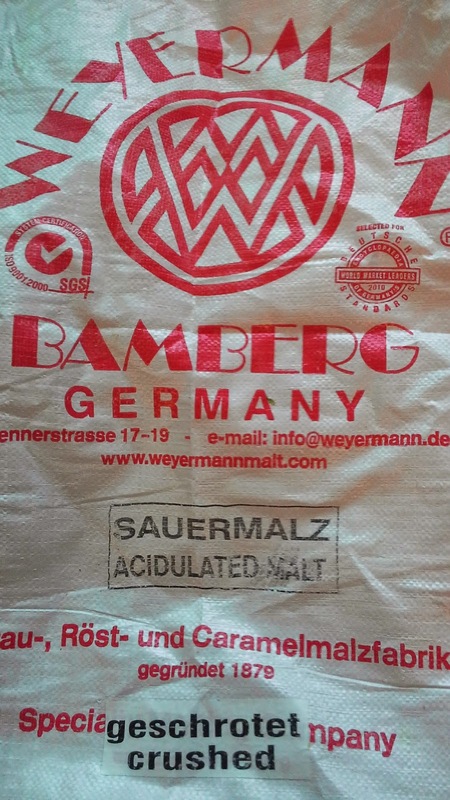 This isn't a scary sort of recipe these days however, and this is where you should be listening attentively, we added 100Kg of acidulated malt into the mash. Using this kind of malt was a first time experience for Weird Beard: both for Gregg, who assisted in the recipe-writing of our collaboration and Bryan, who brought the beer gasping to life on the brewday. 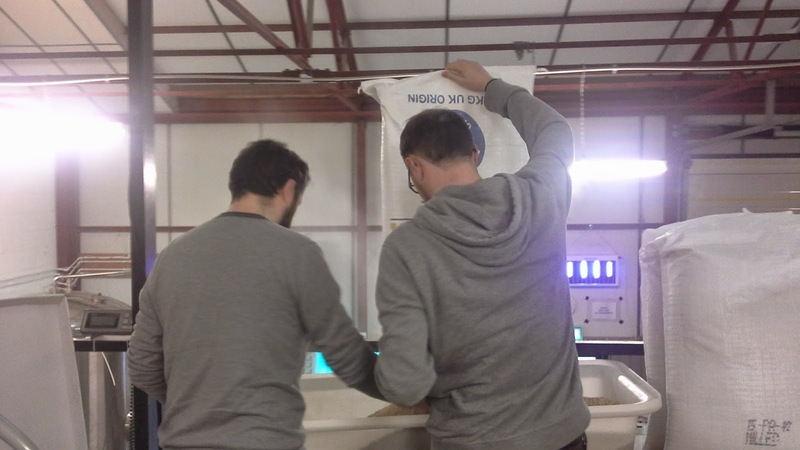 Matt Howgate (Marble) and Ryan McLean (Bullfinch) were also contributors to drawing up the recipe and executing the brew. In concocting this brew, we thought that if we are taking you out of your comfort zone, we'd do it a little bit more. On top of the sour malt, we added a lot of fresh grapefruit juice at the fermentation phase for an extra sharp spike of flavour. The beer both tantalises and shocks your taste-buds with its zesty-ness. You expect it, you know it's there but you go for the sip and it is still frightfully juicy and tart. That being said, it entices you to keep on drinking it. Our beer is now ready and so we invite you to come to its launch party. Weird Beard's Gregg, Marble's Matt and Bullfinch's Ryan will all be present at the launch, which will be held at the Bottle Shop Arch. Come along, we dare ya!